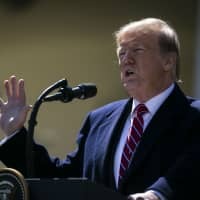 WASHINGTON - U.S. President Donald Trump said Tuesday his administration will push for a comprehensive free trade agreement with Japan and signaled his eagerness to seek a further opening of the country’s agriculture market. In the Economic Report of the President, Trump expressed his frustration over Japanese tariffs on beef and pork, suggesting that his administration will adopt a tough stance in its trade negotiations with Tokyo, which are slated to be launched shortly. Naming an envisaged pact with the United States as a trade agreement on goods, the Japanese government has said that the upcoming negotiations will mainly target tariff issues. By contrast, the U.S. government is eyeing a more comprehensive FTA with Japan that would also cover the services sector as well as foreign exchange issues. The administration intends to “enter into free trade agreement negotiations with Japan,” said the U.S. report, a major document to be submitted to Congress. Citing Tokyo’s imposition of a variable system of tariffs on beef and pork imports, Trump suggested the United States will demand a further opening of Japan’s agriculture market in negotiations. “A number of international competitors, such as Australia, face much lower Japanese tariffs, so a free trade agreement with Japan could level the playing field for U.S. exporters,” the report said. 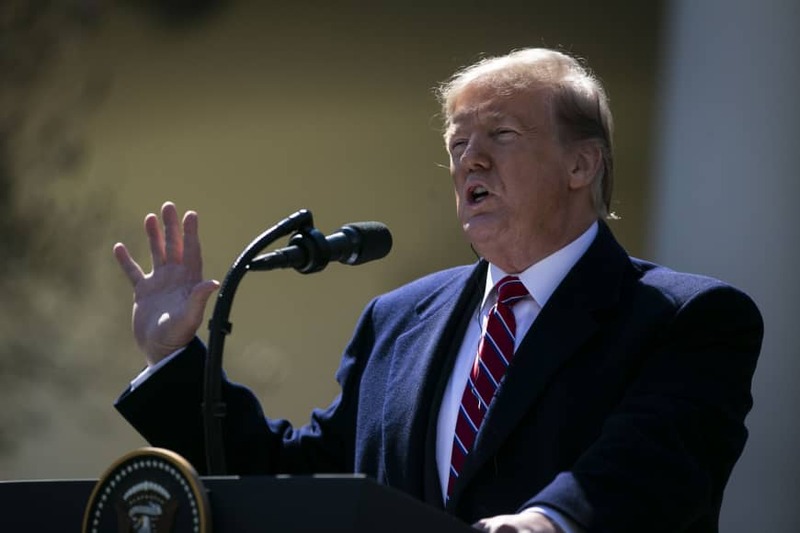 U.S. Trade Representative Robert Lighthizer said last month that the two governments were expected to launch trade talks in March, though they may not start until April or May as the United States is currently focused on ongoing trade talks with China. It came a week after Lighthizer expressed concern that the recent enforcement of the Trans-Pacific Partnership — an 11-member FTA including Japan and Australia — as well as a free trade deal between Japan and the European Union, will put American farmers and ranchers at a disadvantage. According to Japanese government data, the nation’s beef imports from Australia, Canada, Mexico and New Zealand — four members of what is formally known as the Comprehensive and Progressive Agreement for Trans-Pacific Partnership — jumped more than 50 percent in January from a year earlier. The CPTPP came into force on Dec. 30. The Trump administration, which prefers bilateral trade deals, withdrew the United States from the original pact in 2017. Aside from agriculture, the report indicated the administration will urge Japan and China to increase the purchase of liquefied natural gas from the United States. “China and Japan are the world’s two largest importers of LNG, and are likely to be attractive future markets in which to increase the U.S. share of LNG deliveries,” it said.